Today, Immigration New Zealand announced the upcoming Student Visa changes which will come into effect on 26 November 2018. It has been suggested that the study pathway has contributed to a ‘decline in the general skill level of migrants seeking residency ‘and exploitation from certain employers and education providers. The changes suggested are much more positive than initially expected and may lead to great employment opportunities for applicants studying towards qualifications leading to a job in demand, or studying at level 9 and above. The new policy will also encourage and reward candidates willing to study outside of Auckland. 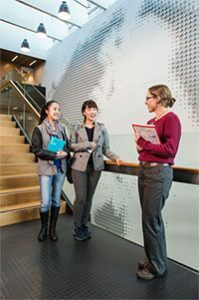 to require international students studying Level 7 and 8 qualifications to be in an area specified on the Long Term Skills Shortage list, in order for their partner to be eligible for an open work visa, and in turn the partners’ dependent children to be eligible for fee-free domestic schooling. International students doing Level 9 or 10 qualifications will still see their family eligible for visas based on their relationship. If you are thinking of studying in NZ, with the potential of obtaining a 3 year post study open work visa, contact us now. So, as a student, am I able to support my partner’s work visa? You will be able to support your partner’s work visa application if you are studying a Level 7 or 8 qualification provided the qualification is specified on the Long Term Skill Shortage List, or a Level 9 or 10 qualification. If your partner has dependent children, they will be eligible for fee free primary and secondary schooling. People studying at levels 4 to 6 are not able to support their partner’s work visa application, but their partner can apply for a visa in their own right. Here is a handy summary table for you. It details the post-study work visa and family visa rights under the new policy (from 26 November 2018). Would you like to answer a few more questions?